Atlanta townhomes for sale offer a great alternative to buying a single family home because they're more affordable, and the amount of maintenance required is much less than that of a stand-alone house. Townhouses are also perfect for buyers who dislike having neighbors living above or below them, potentially disturbing their peace and quiet. They're a much better alternative than continuing to live in an apartment over the long-term. Townhomes in Atlanta also offer much more privacy and living space than either apartments or condos, and many also feature swimming pools and community fitness rooms available for use by all residents of the townhouse complex. They are the perfect size for a young couple just starting out, or those who've recently become empty nesters. Prices for modest Atlanta townhouses can range in the mid to upper $100,000 range, but there are plenty of luxury townhomes available as well, with prices reaching up near the million dollar mark. These properties are very special and include amenities such as tennis courts, tranquil gardens, and whirlpool tubs. Private backyards and stylish design can be found in many Intown Atlanta townhouse communities, which means buyers can own beautiful property without the expenses or maintenance of a traditional house. Start your search with the listings below, or read more about choosing Atlanta Townhouses. Be sure to register for an account. Doing so unlocks a variety of exclusive privileges such as the ability to sign up for notifications on price reductions! 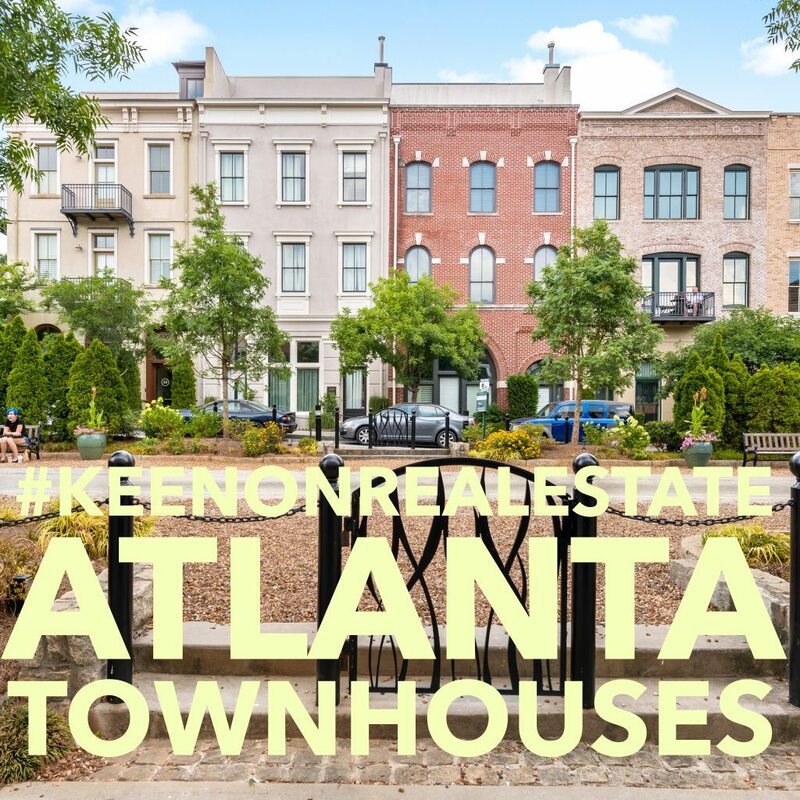 Below you'll find links to each area within the Intown Atlanta real estate market that has available townhomes for sale. Just click on the links to find townhouses for sale in your preferred neighborhood. If you have any questions about Intown Atlanta real estate or about any of the townhomes listed, please give us a call at (404) 270-9374 or contact us. Are you ready to discuss owning a townhome in Atlanta? Contact The Keen Team today to get the conversation started!